Back in PH, I wear makeup everyday…sometimes, even on weekdays. And no matter how diligent I am when it comes to cleansing and exfoliating, my skin would still get clogged and therefore would need professional help to keep those nasty breakouts at bay. Because of this, I try to get a facial and a diamond peel every month. And yes, it ain't easy on my wallet but I'm pretty sure you'd agree with me not to scrimp when it comes to taking care of your skin. Before I left home, I made sure I had a facial and a diamond peel first. My skin was not acting up at that time but I didn't get my hopes up for I know it will go gaga soon. And it did. Well, it did behave for a month when I was in the US. 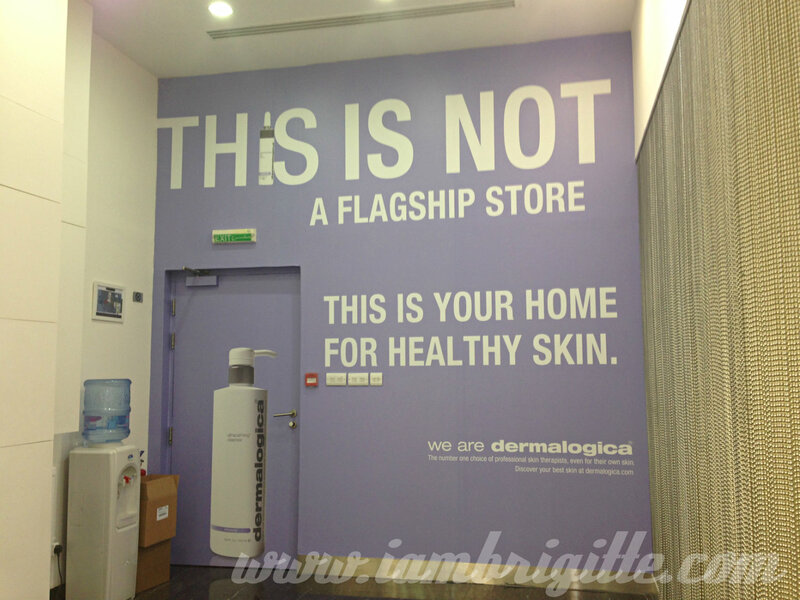 But when I got here in Dubai, my skin just went nuts! When the cold season started to hit, it just got worse. Yes, that's how weird my skin is. It gets more problematic when it's cold. Probably because it gets more clogged? But the thing is, I haven't been wearing much makeup like I used to! Sigh. Come December, I just knew I need to get a facial…badly. I asked around for recommendations but wasn't able to get much from the people I know. It's not because they aren't as maarte as me (roll eyes), but probably because they just don't need it. Ugh, how lucky! 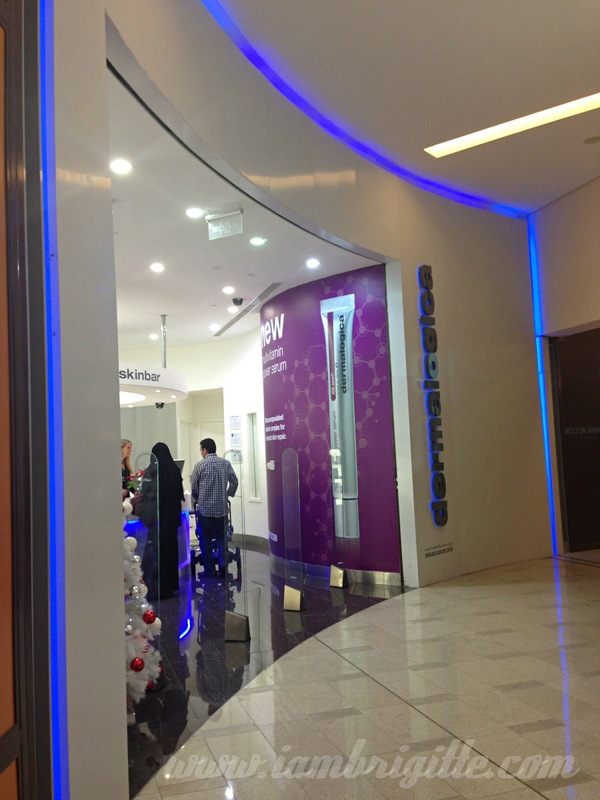 I first tried setting up an appointment at Obagi MediSpa in Dubai Mall, but they were fully booked until the end of December! Take note, that was around mid-month. 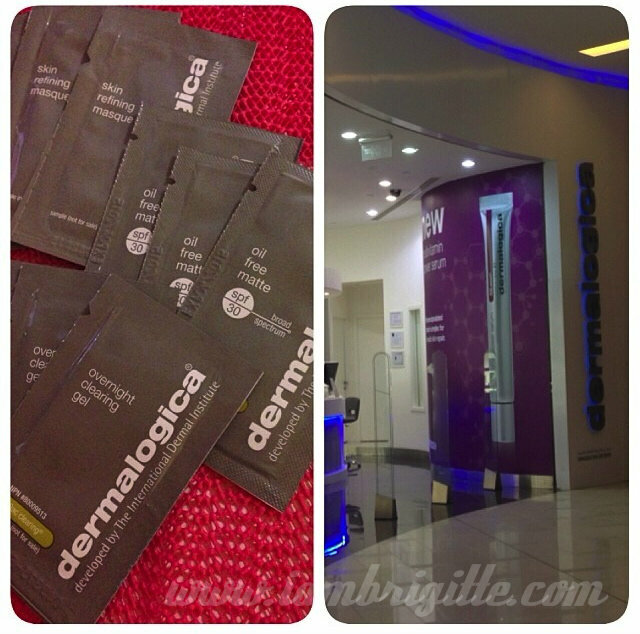 I googled, and googled some more until I came across Dermalogica, also in Dubai Mall and is the brand's flagship store. I was booked on a 4pm slot and arrived just minutes before. A very polite staff greeted me as soon as I walked in, told her about my appointment and then she asked me to take a seat at the counter first. I was given the consultation card to fill out with my personal details, including any medications I might be on and/or used in the past, allergies, etc. Good thing I went there sans makeup for she gave my skin a quick check so we would know what's the best facial treatment for me. A few minutes more and I was ushered to their treatment room, where I was asked to change to a robe and lay down on the bed. I just realized after taking the photos that I should've turned on the (white) light first. Hahaha, sorry bout the lighting. These were actually taken in a hurry, I was kinda shy to be caught taking photos because I didn't really ask if that's okay. I'll try to take more decent photos next time. 1. First, my face was thoroughly cleansed. 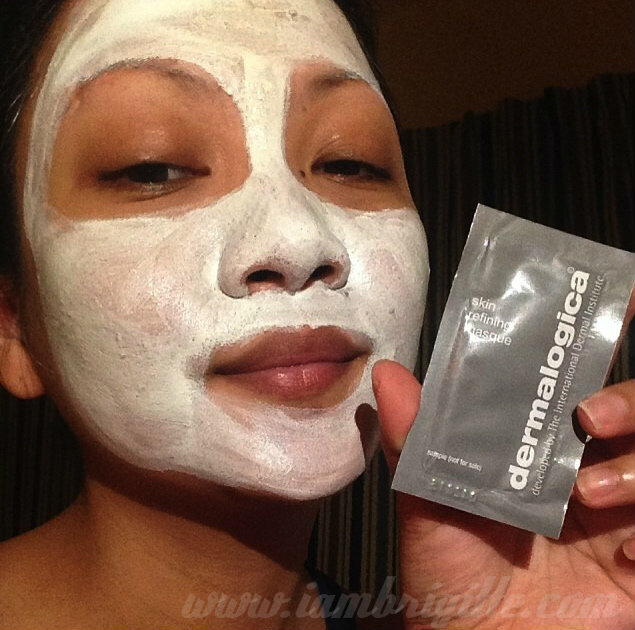 As what the skin therapist told me, they do double cleansing in Dermalogica. I personally love that, as I do double-cleansing too! 2. After cleansing was the face-mapping. 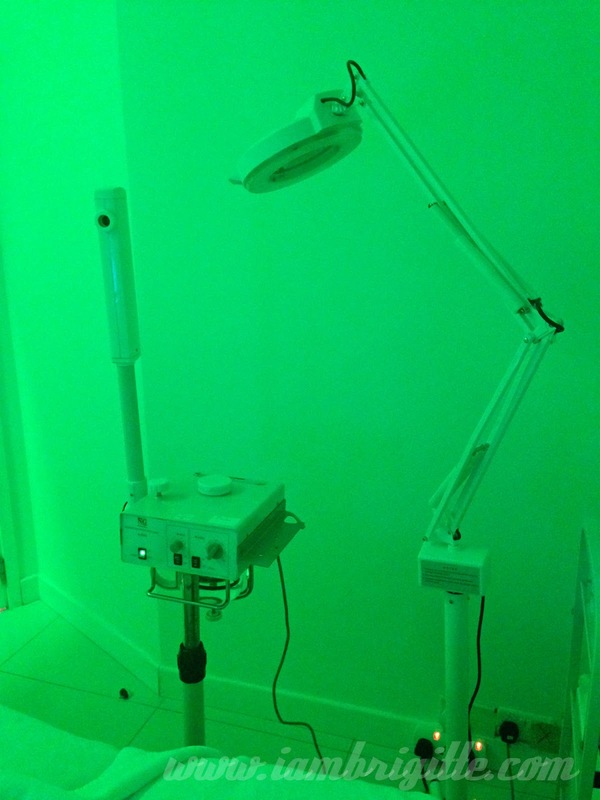 This is where the skin will be analyzed from forehead up to the collarbone to identify your skin's problems and needs that will allow them to know what's the best treatment suited for you. I was told that I have a combination skin: dry on the cheeks, oily on the t-zone. 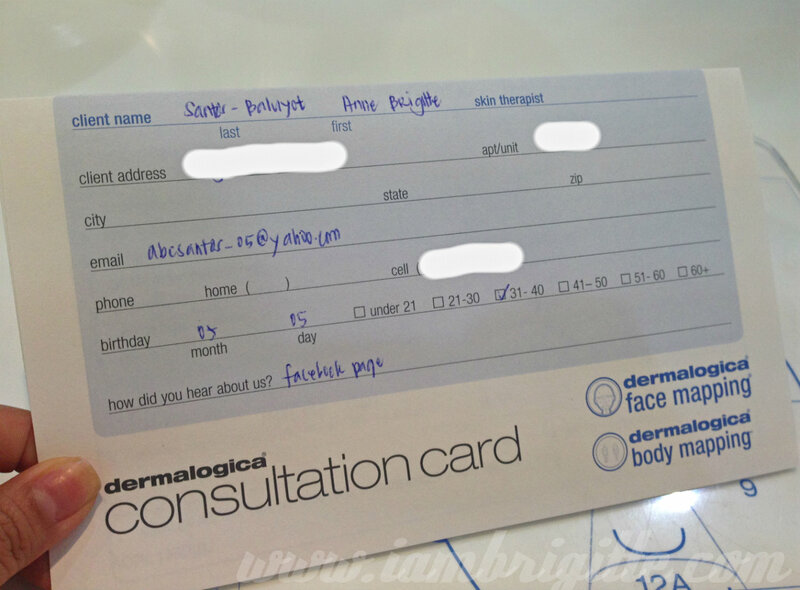 With my skin condition at that time, I was told that the Medibac Facial will be the best for me. 3. An enzymatic exfoliation serum (or was it a cream?) was applied and massaged on my face followed by a facial brush (ala-Clarisonic). 4. After the exfoliation, a certain fluid was applied to my face. According to the skin therapist, it is to aid in the extraction. Ugh, I hate extractions! But that's something one has to go through to get rid of those nasty blackheads and whiteheads! By the way, my skin was generously steamed prior to the application of the extraction fluid. Or was it after the extraction fluid? Wahh, I was literally trying to stop myself from dozing off, but laying there, with the relaxing music and the soothing hands of my therapist made it a lot harder for me. And yes, I just had to emphasize that there were a lot of steam because I've been to some facial centres where they seem to skimp on the steaming part. Which is not good because the steam is meant to help open up the pores and make the extraction less painful. 5. Extraction time! Now, I'm sure this is the part that all of us dread the most in facials. C'mon, who wouldn't hate the pricking and the scraping from that metal tool? But guess what, I didn't come across that nasty tool during my treatment. So what did the therapist use? A piece of tissue and her bare hands! Yes, her hands! She just did pinching motions on areas where she needs to extract, even apologizing at times when she would think she's hurting me (but no, I wasn't hurt at all!). The actual extraction took around 10-15 minutes. You might be thinking, if that way of extraction can actually extract whiteheads and blackheads? Well, I doubted it at first too. But after my facial and the redness all gone, my pores look a lot cleaner most especially those on my nose area. 7. 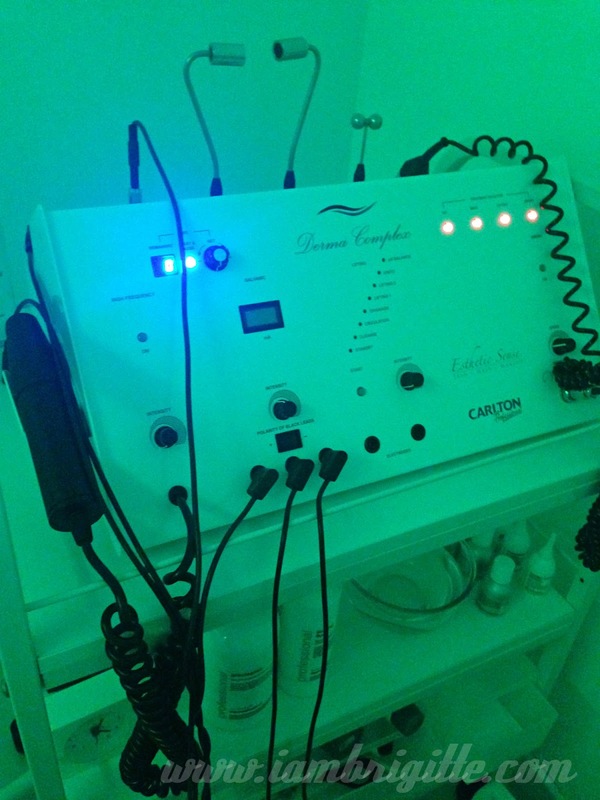 Time to lessen the redness caused by the extraction using a wand from a high-frequency machine. I bet you are all familiar with this one. 8. 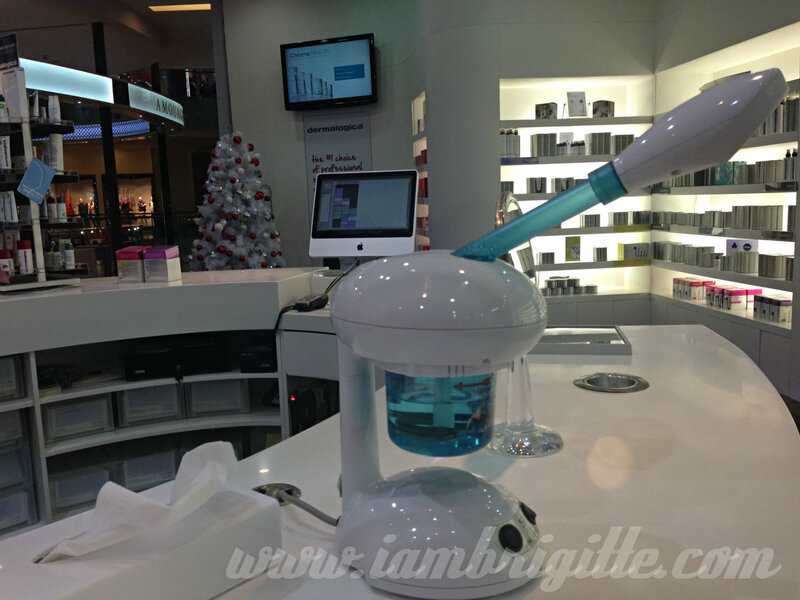 A purifying serum was applied all over my face and then massaged with a galvanic tool. 9. A purifying eye mask was placed on my eye area and then followed by a shoulder and arm massage. I didn't know how long it took because I fell asleep! I woke up feeling a lot more relaxed, 'twas like I slept for hours! Hahaha! 10. After the eye mask was taken off, a toner was sprayed on my entire face followed by the application of a moisturiser and an eye cream. 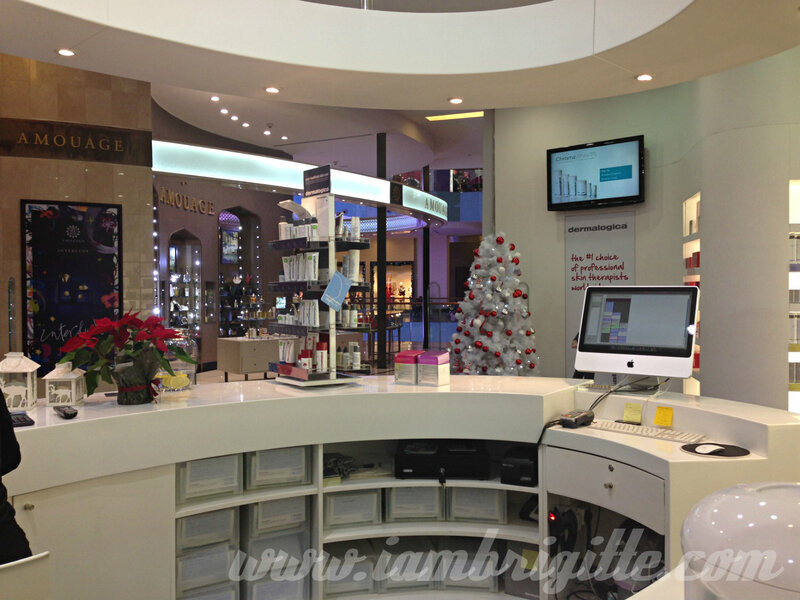 I was given generous samples of their overnight clearing gel, oil-free matte sunblock and the skin refining masque. I particularly love the masque! My skin looks tight after and becomes less oily the next day. I'll be getting a full-size of this soon! The treatment costs AED 550 (almost Php7k), definitely more expensive than those I've had back in PH (a glycolic facial and peel at Belo costs less than Php5k, and an Obagi Signature Facial costs less than Php4k) but I guess that's just how services are priced are here in UAE. It definitely burnt a hole in my wallet, waaah! Like I've mentioned earlier, there are some salons which offer facials too for half the price but I'd rather have it done in places where the therapists are trained under a known skincare brand. Maybe I'll try those salons next time, but not at this moment when my skin needs some serious TLC and experimenting is a no-no. 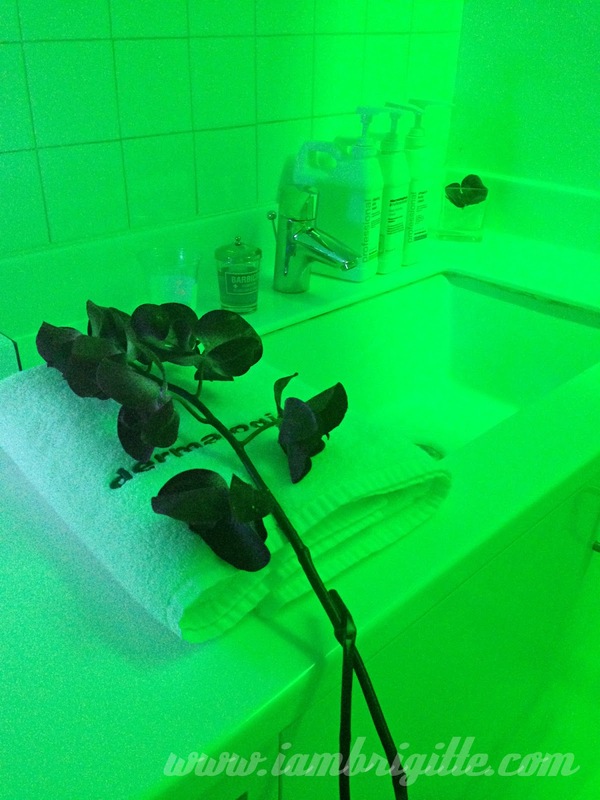 I love the treatment, the staff, the therapist and the fact that they don't try to hard-sell their products. They will give recommendations on what products to use but you won't feel obliged to buy them. I just wish that they also do pimple injections, most especially on the cystic ones. I didn't get any allergic reactions after the treatment. 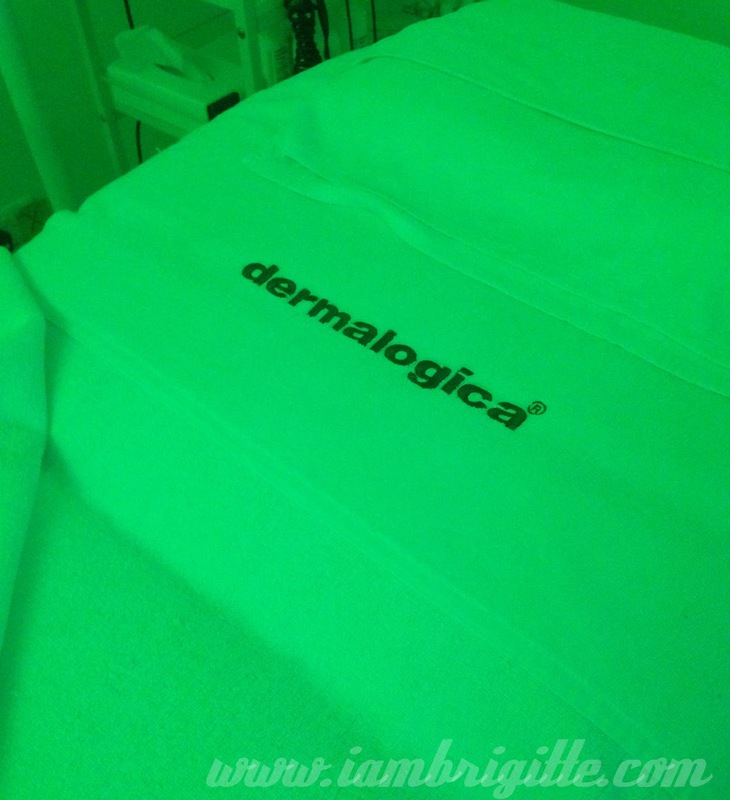 So yes, I'll be going back to Dermalogica, hopefully soon and let's see if I'll be given a green light to try their other facial treatments. By the way, I just got so curious about that pre-extraction fluid they used. I've been trying to look for that in stores but can't find it, so I'm not sure if it's being sold on retail. I am thinking of just getting that, a face steamer and just do a DIY-facial at home. Frugal hat is on. Hahahha! 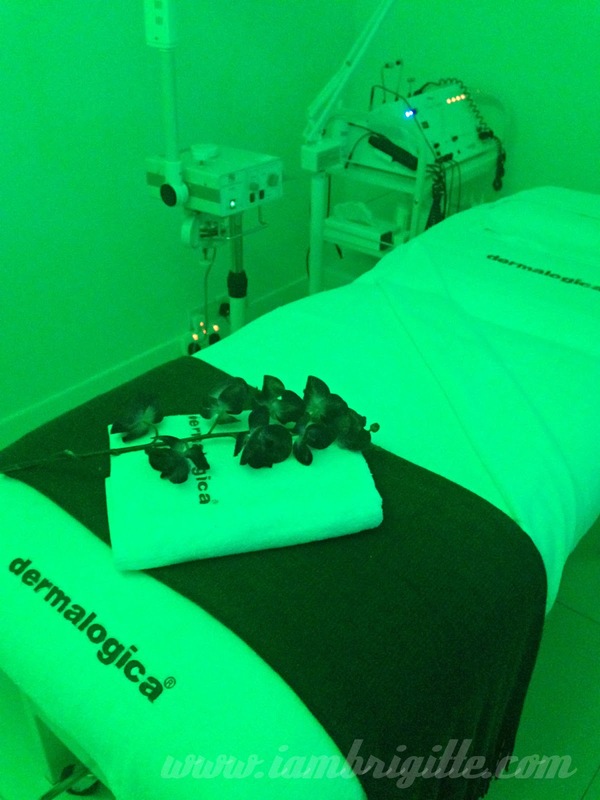 Have you tried any facial treatments here in Dubai? I would love to get good recommendations from you! Please let me know.